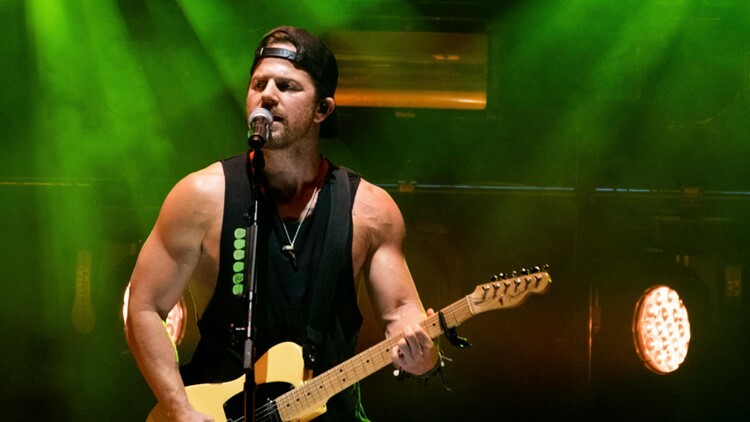 Kip Moore performs on stage at Verizon Wireless Amphitheatre on Thursday, Sept. 27, 2018, in Alpharetta, Ga.
Brett Eldredge, Brothers Osborne, REO Speedwagon and Cody Johnson will be joined by Kip Moore at the 2019 Greeley Stampede. The Greeley Stampede has added a final headliner to its 2019 SuperStars Concert Series lineup. Country music star Kip Moore will perform at the Greeley Stampede on Thursday, July 4, it was announced Wednesday. An Independence Day fireworks display will take place after the Kip Moore show at approximately 9:45 p.m. The previously-announced concert performers include Brett Eldredge, Brothers Osborne, REO Speedwagon and Cody Johnson. Australian pop duo For King & Country will headline the 2019 Greeley Stampede Faith and Family Night Concert. Greeley Stampede tickets are sold at GreeleyStampede.org, TicketsWest.com, any Colorado King Soopers stores or by phone at 970-356-7787.